Fall is here and our hiking days, at least for most of the country, are numbered. 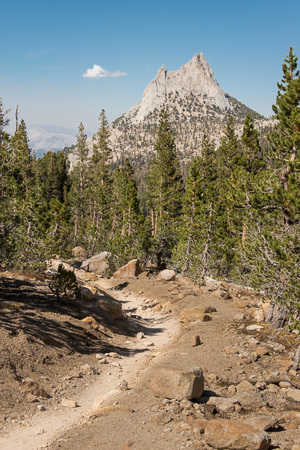 Soon there will snow on many of the Sierra Nevada trails (we hope!) and the distractions that come in the fall – football and the holidays – are upon us. There are several months to go before the serious training starts, and you haven’t yet replaced the sirloin and seafood with ramen and macaroni & cheese so you can afford that super-ultra-unbelievably-light shelter. You know, the one that weighs so little it’s delivered in an envelope with a first class stamp. But that doesn’t mean there is nothing to do! Even if the snow is up to your ears outside, there is always time to learn something. The five websites, below, are a great way to do just that. 4. Andrew Skurka’s Website. Not since Ray Jardine has one person become so synonymous with long-distance, lightweight hiking. Skurka has accomplished an incredible record for such a young man, but has managed to stay humble and accessible. Since he has teamed up with Sierra Designs his site has gotten even better. Great post. I’ve used most of these sites myself and found great information. I also like gearjunkie.com. They have a broader scope, but good gear reviews. That’s a good one! Thanks, Brien. Agreed, Hamish. Thanks for the comment!